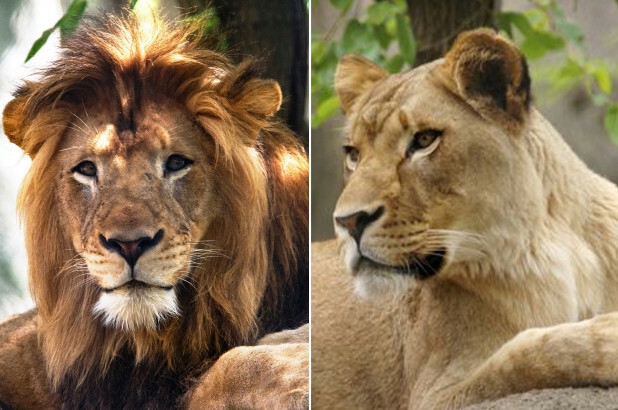 A lioness has killed the father of her three offspring, suffocating her mate by locking her jaws onto his neck at the Indianapolis Zoo in an attack not fully understood by zoo staff. The lions had been held together at the zoo for eight years, producing three cubs in 2015, and zookeepers had never before noticed any aggression between the two, the zoo said in a statement issued on Friday. The death devastated zookeepers and the cause may never be understood, the curator of the zoo said. “They build strong bonds with the animals so any loss affects us all greatly. For a lot of us, it’s just like a family member,” David Hagan, curator of the Indianapolis Zoo, said in an interview. Zoo staff were alerted by “an unusual amount of roaring” coming from the lion pen on Monday and arrived to find the 12-year-old female lion Zuri in a fight with the 10-year-old male lion Nyack, the zoo said in a statement. “She had Nyack by the neck. Keepers came up and saw what was occurring and made an attempt to separate the two. But she continued to hang onto Nyack by the neck until he stopped moving,” Hagan said. A necropsy found that Nyack died of suffocation from injuries to the neck. The lioness had been on loan from the San Diego Zoo as part of the Species Survival Plan managed by Association of Zoos and Aquariums. The incident was under review but there were no plans to change how the lions would be managed, the zoo said. One of their offspring, a 3-year-old female named Sukari, was in the outdoor lion pen at the time, while the two male offspring were kept in a separate part of the exhibit. Zookeepers began separating the males earlier this year, corresponding the age they typically leave the pride, at 2 or 3, when they are considered young adults, Hagan said.